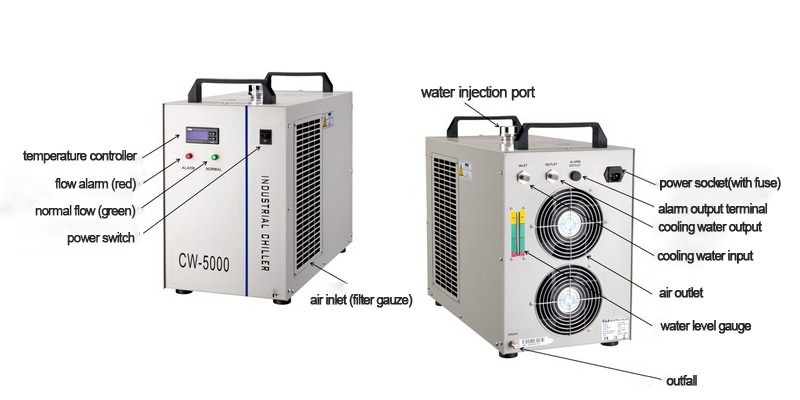 Water chiller CW5000 for 100W laser tube is refrigeration type industrial water chiller of 800W cooling capacity. It’s mainly used to have the heat generated during the laser device working that gone through the refrigerating cycle in compressor refrigeration system and eventually transferred to the air. CW-5000 industrial water chillers are popular for its 2 temperature control modes as constant temperature and intelligent temperature control. Under intelligent mode, the water temperature is adjusted according to ambient temperature. 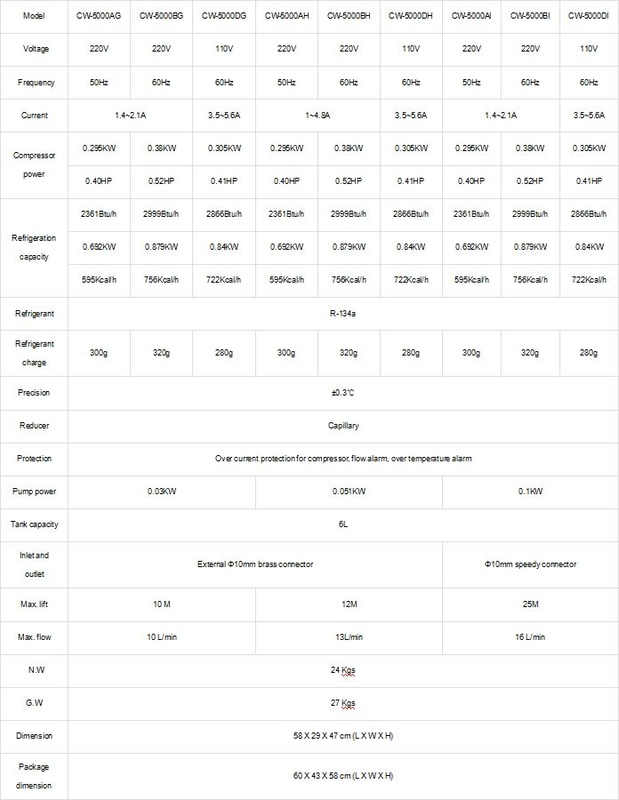 With that 1 key solution, customers no longer need to worry about the water temperature adjustment of seasonal changes. License: The text of "Water chiller CW5000 for 100W laser tube" by STYLECNC is licensed under a Creative Commons Attribution 4.0 International License. The water chillier I bought at other company are broken, and they have not helped me for various reasons. Then I found STYLECNC, their service attitude is very good, the quality is also very good.